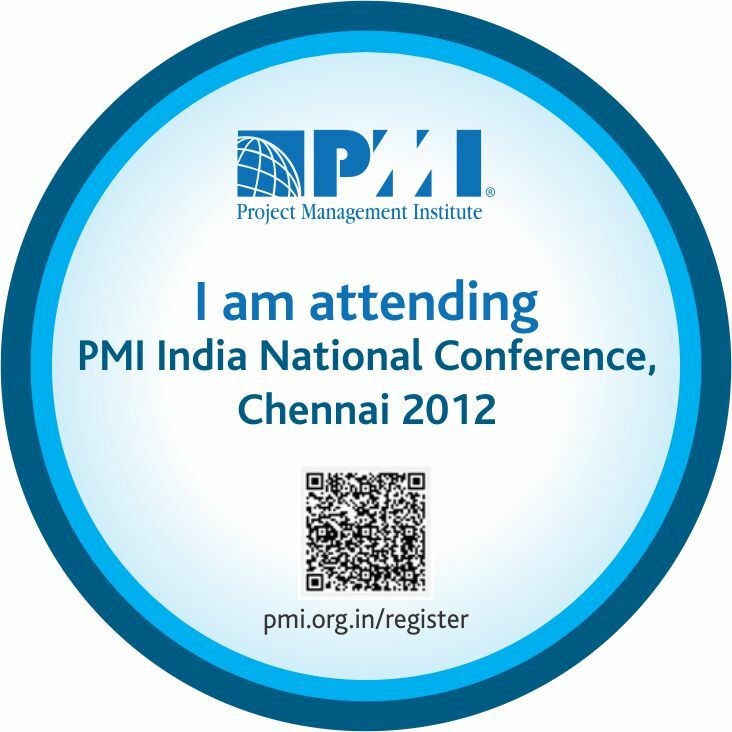 Project Managament Institute (PMI) is conducting India's 4th annual Project Management National Conference in Chennai this year. The theme for the conference is "Project Management for Sustainable Competitive Advantage". During the conference, several project management issues will be addressed by industry experts and project management practitioners. 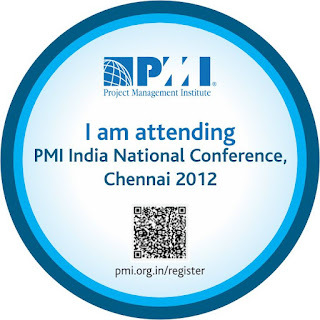 I hope India's biggest project management conference would be interesting, exciting and useful. In addition to that,you could earn up to 22 PDUs by attending the Project Management National Conference 2012. I am attending the conference. How about you? How a PMP candidate is assessed? PMP Credential Scheme is accredited by the American National Standards Institute (ANSI) against International Standards Organization (ISO) 17024. ISO 17024 specifies requirements for a body certifying persons against specific requirements, including the development and maintenance of a certification scheme for personnel. The PMP Credential Scheme is also registered against the ISO 9001:2008 standard for quality management systems. Please take note that all project management experience must have been accrued within the last eight consecutive years. It is necessary that you should have experience in all five project management process groups (initiation, planning, executing, monitoring and controlling, closing); but, not necessarily in a single project. In addition to this, you should also have obtained 35 contact hours of formal education in project management. I will share further information on the format of the PMP examination and the examination fees in the upcoming articles. I leave you now with the question: Why Should I get PMP Certification?